We are halfway through 2016 and the year has definitely shown us a lot of trendy new styles that are making their way to the wedding seasons Undoubtly, Lehengas have set the Indian fashion on spirit with their ethnic and contemporary splendor. 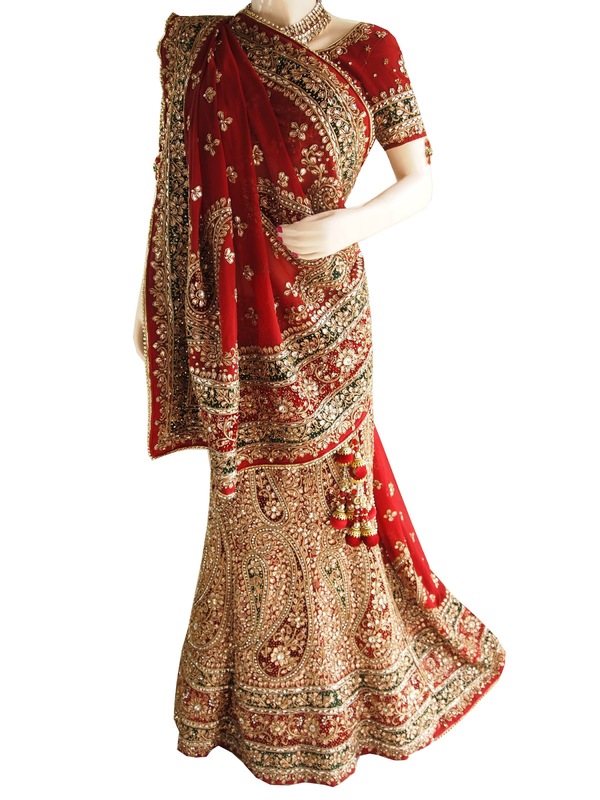 Right from the Navratri and Diwali to upcoming cousin’s wedding lehenga choli is the universal choice. We can readily blend with almost any conservative occasion, with a sprinkle of glamor to the overall look. Let’s take a look at the top styles we have seen in so far splashing their magic throughout the year. Keeping in mind the femininity that need to be flaunted the trail lehenga is an eye catching statement. The style depicts the western imperial custom while the trail add the utmost glamour portion to it. 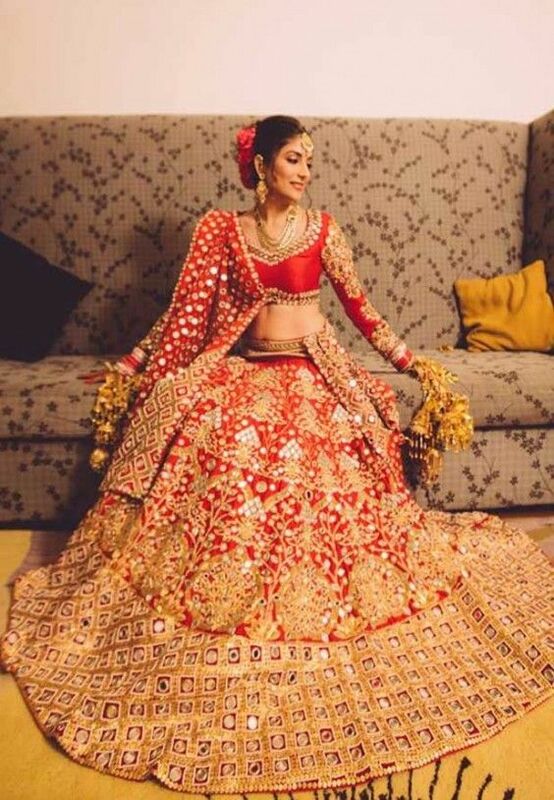 So if you are a fan of Regina Cassandra then you should go fo it and try out this trail lehenga this wedding season. 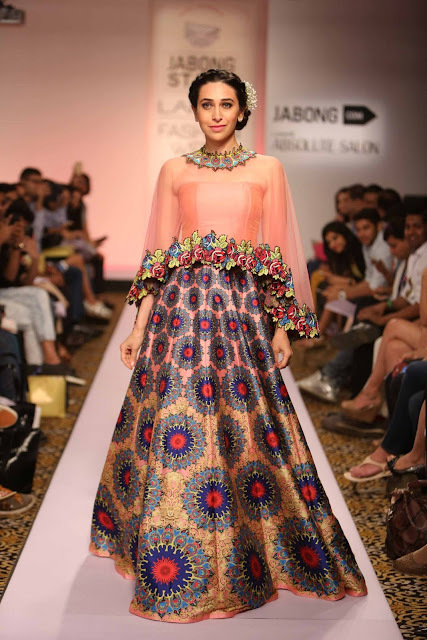 While every single fashion designer in the country is busy experimenting with styles Ombre has become the most desirable colour of fashionistas this season. Still in doubt? 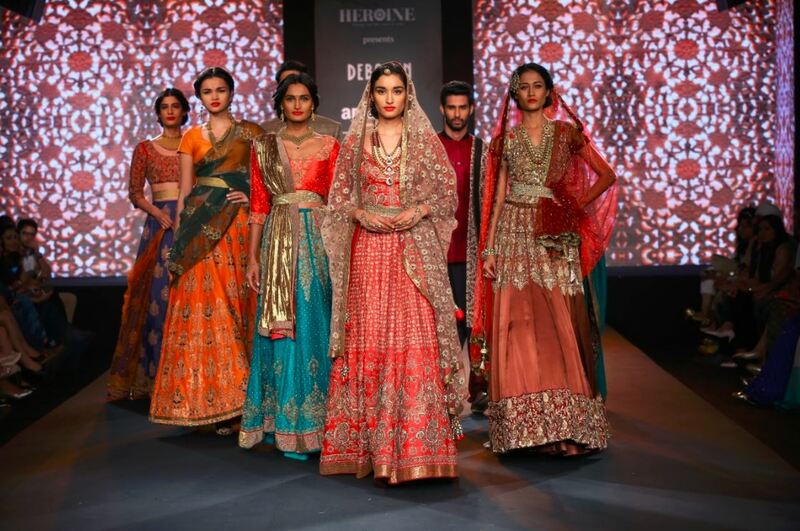 The capes are detachable endless options to style your dress and also allows you to re-use your lehenga with a complete new look. 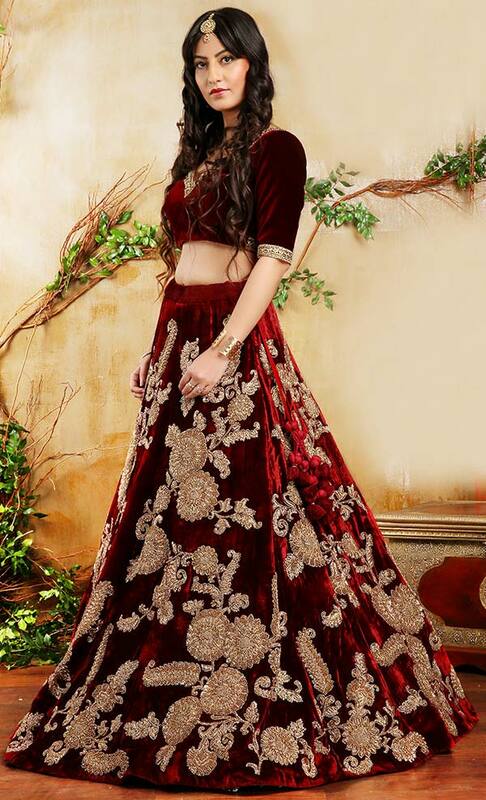 While more preferred in the colder seasons, jacket lehenga is beautiful, elegant and charming while still being fun and flirty. Referred as a couture piece it is a long ankle length jackets over the lehengas. 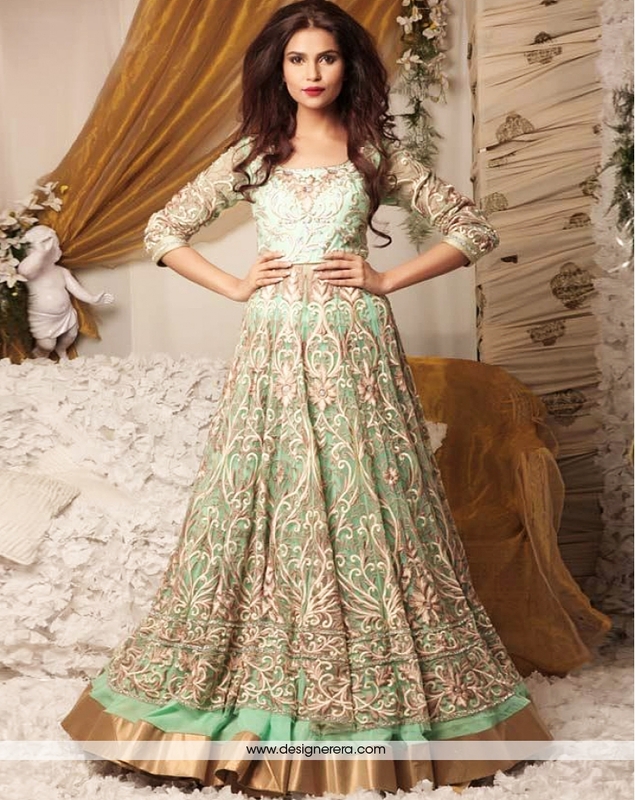 Anarkali lehenga is a very resplendent note to rope in for the upcoming festivities. It is a more bucolic trend and looks great with earthy and organic colors. 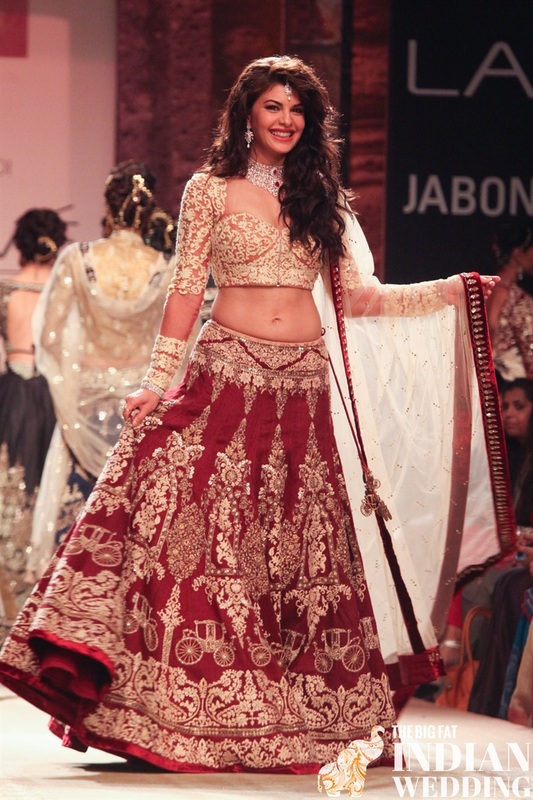 The inspiration for lehengas with mirrors has its roots in Rajasthani wedding dresses. 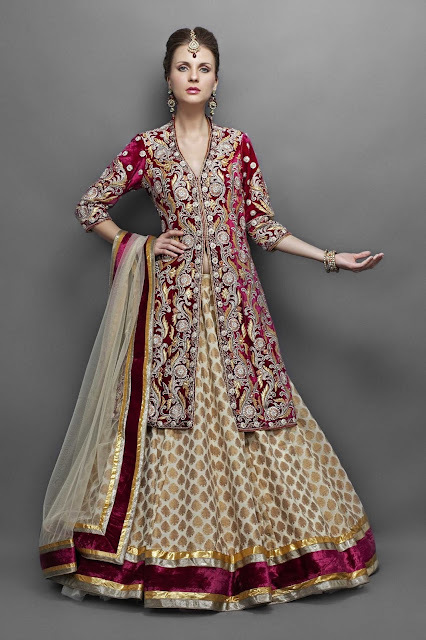 the entire lehenga lends an extremely empress-like feel and exudes a vibe of all things grand and royal. 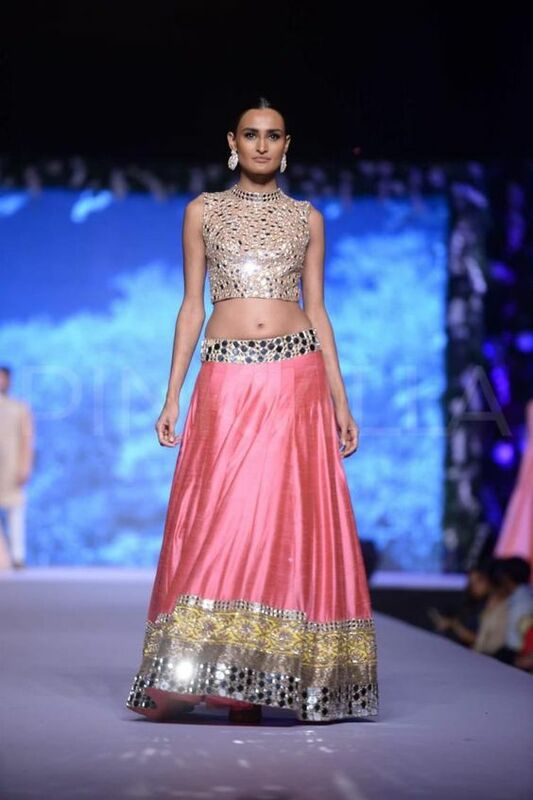 Using appliqué to add some glitz and shimmer to an outfit gotta patti border lehengas embellished with chunky pearly touches and golden flora and fauna weaves, creates a magical princess look for the event. The modern brides might love to bare their arms which absolutely does not mean that long sleeve lejenga are not in trend. Winter brides would particularly choose long sleeve cholis which add an elegant kink to the otherwise traditional attire. 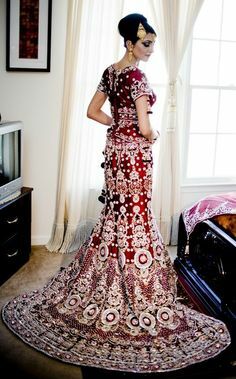 Velvet has been in the wedding trend since years. Deluxe, classy and rich, it looks splendid It can look glamorous in several styles, detailing and blends. 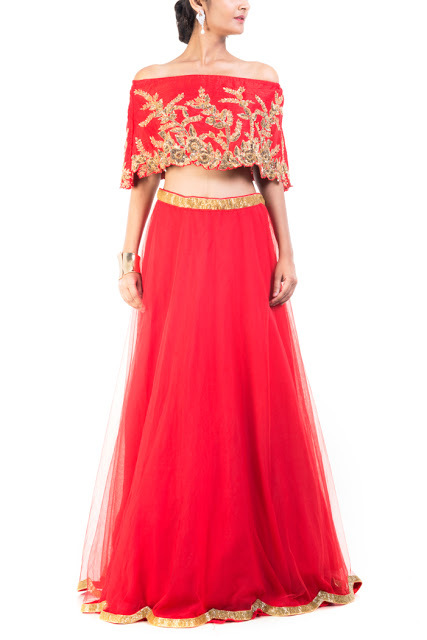 Go for all-out glamour with these lehenga styles. Discover now and you will surely fall for each of them.